Ezra Koenig’s animated Netflix series will return on December 7. 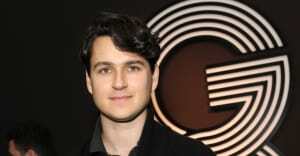 A teaser clip for Ezra Koenig's animated Netflix series Neo Yokio was released on Tuesday. Check it out above. The show will return with a Christmas special titled Neo Yokio: Pink Christmas on December 7. Neo Yokio aired its first season last September with six episodes on Netflix, and featured characters voiced by Jaden Smith, Desus Nice, The Kid Mero, and Jason Schwartzman among others. In February Koenig cryptically shared on his Beats 1 show that the Neo Yokio would eventually make a return, saying "Neo's Not Dead." Thumbnail image courtesy of Neo Yokio / Netflix.